This is a practical e-book prepared by a hard working expat lady in the United Arab Emirates. When author Sylvia Trifonova saw a small job ad in her home country Bulgaria for work in the UAE and applied for it, she did not expect this step to change her life forever. Starting her journey in the sunny and developing UAE with no intention to stay longer than a year, the adventure turned into full five exciting years of unforgettable memories and experience. This is a real story of how getting out of your comfort zone can help you accomplish all that you were dreaming for and find great friends for life on your way. Sylvia started her journey all alone with only one suitcase, only to return five years later to her home country with a small dog, a brand new car, a truck full of belongings and ideas on how to contribute to the prosperity of her home country. 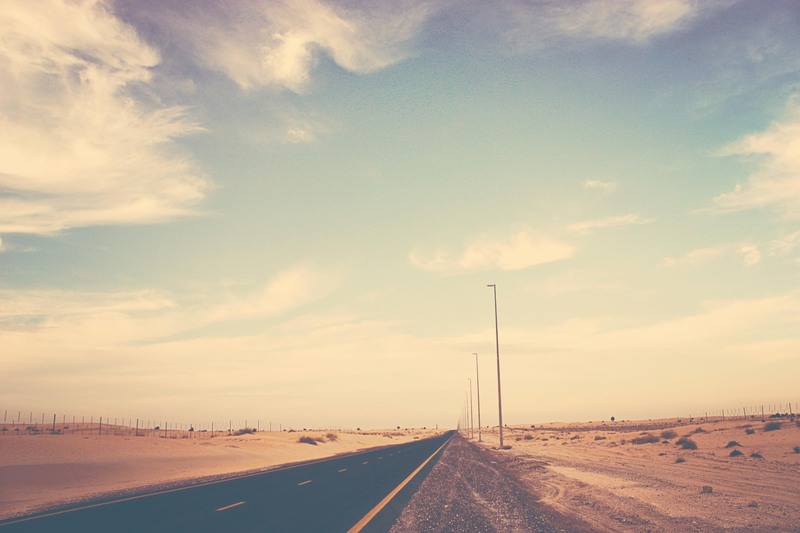 She traveled to the UAE with a great curiosity of the Emirates and the cultures there, not knowing anything and anybody. Five years later she was familiar with the local way of life, the culture, the developments, the economy, got to know many different nationalities and made lots of friends for life. She also learned some very important life lessons. 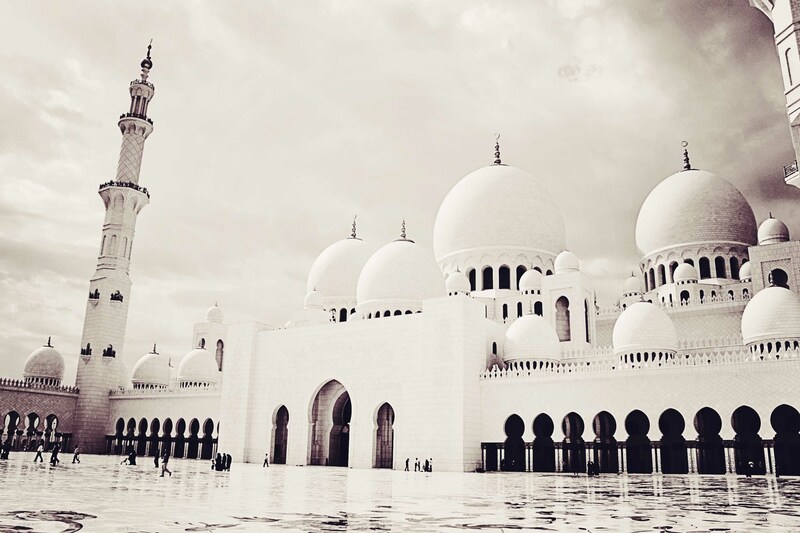 Her journey opened her mind to accept all cultures and their way of thinking; she worked in a fast paced environment in the capital of the UAE – Abu Dhabi, as well as in the cosmopolitan Dubai. Pursuing her passion, she even started her own business venture in Dubai Media City. 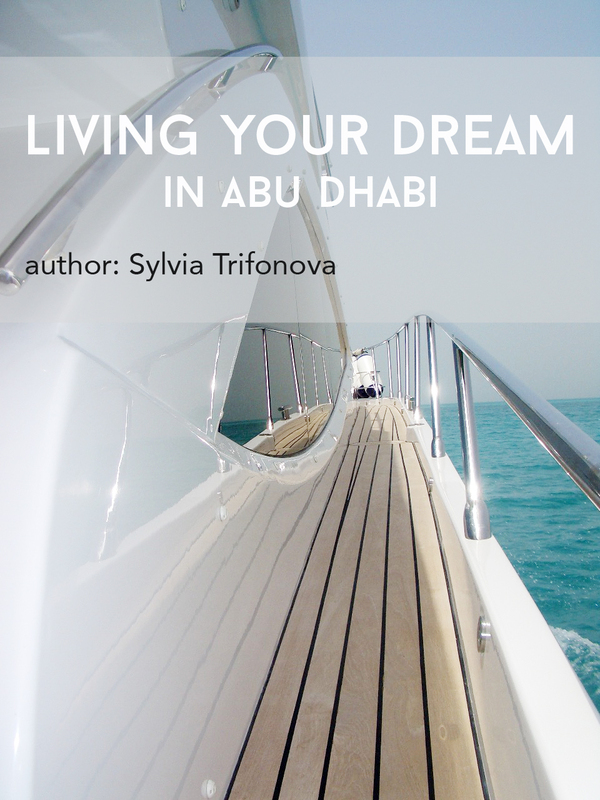 In this guide of the life in Abu Dhabi Sylvia will take you through the first part of her journey in the UAE, before she moved to the cosmopolitan Dubai. The e-book consists of 80 pages, 10 parts and is featuring authentic personal photographs, as well as photographs of the developments in Abu Dhabi back in 2008. Healthcare in Abu Dhabi. Hospitals. Sylvia Nikolaeva Trifonova (Nikolova) is coming from the land of the famous Bulgarian rose and yogurt – Bulgaria. She is а communication consultant with over 17 years of international experience working for some of the best automotive companies in the world – Mercedes-Benz, Rolls-Royce, BMW, MINI, Alpina, Jeep, Chrysler. She has a retail experience managing the marketing department of the biggest shopping mall in Sofia, Bulgaria. Her career path has brought her to the sunny Wonderland – the United Arab Emirates, where she has spend five incredible years, full of new experiences and friends. This is a guide for the expats coming to live and work in the capital of the UAE or business people, planning to start a business in the tax-free UAE. Sylvia has lived two and a half years in Abu Dhabi and another two and a half in Dubai. Besides marketing, adverting and PR addict, Sylvia is a keen photographer and entrepreneur. Most of the photographs in this book are her work.